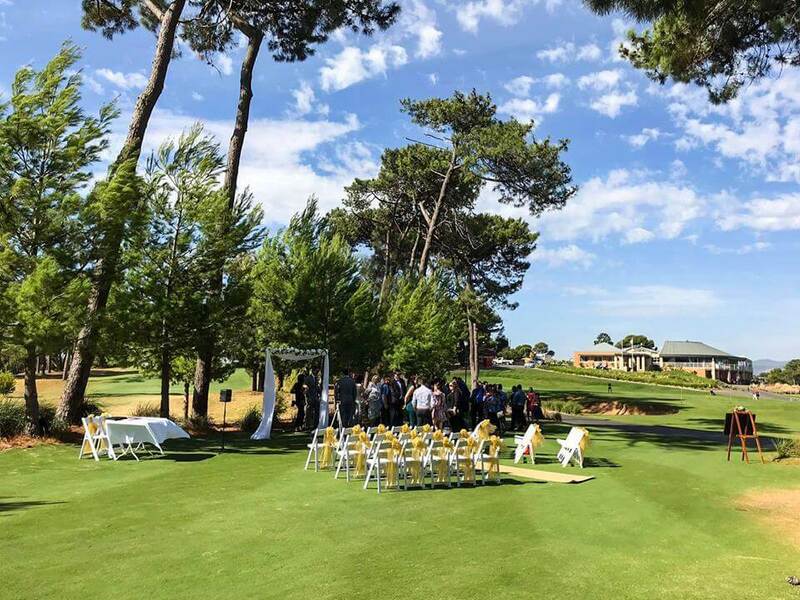 Amy and Stephen got married on the beautiful lawns of Glenelg Golf Club end of March. The weather was wonderful and the sun was shining bright for them on their special day. Seeking shade under the trees guest enjoyed my acoustic live music while eagerly awaiting the arrival of Amy. While the bridal car arrived I was playing Christina Perry’s ‘A Thousand Years’. Amy had asked me to learn ‘Amazed’ by Boys to Men for her bridesmaids and herself to walk down the aisle too. She had always loved that song and it was my honour to sing it for her. Celebrant Gereleyn facilitated a beautiful ceremony and when Amy and Stephen exchanged their vows guests were trying to hold back their tears. While signing the registers I played Ellie Gouldings ‘How long will I love you’ and Betty Who’s ‘I love you always forever’. Gerelyn announced the newlyweds and I was playing ‘Signed, Sealed, Delivered’ by Stevie Wonder while guests were cheering and congratulating the happy couple. It was such an honour to be part of Amy and Stephen’s ceremony and entertain guests before and during the ceremony with their favourite acoustic tunes. Thank you for have chosen me Amy and Stephen. I wish you all the best for your married life. You are a gorgeous couple and I wish you many years of laughter, love and happiness.